East Central Community College invites area residents to get into the Christmas spirit by attending the third annual Warrior Wonderland Friday, Dec. 1, on the campus in Decatur. The special celebration of Christmas will begin immediately following the Decatur Christmas Parade, about 6:30 p.m., and conclude by 8:30 p.m.
Warrior Wonderland will kick off with a fireworks display and visitors will have a variety of activities from which to choose. The East Central Community College Warriors traveled to Bay Minette, Ala., Nov. 16, and came home with a big 87-71 basketball win over the Coastal Alabama-South Sun Chiefs in a game played at Jack Robertson Arena on the Coastal campus. East Central Community College (ECCC) in Decatur is searching for a head women’s soccer coach to lead the program. Gray Massey, who coached the East Central women the past five seasons, has been tabbed to start a women’s soccer program at a four-year university, with that announcement to be made in the coming days. The rally allowed the Lady Warriors to remain undefeated on the season at 4-0. Coahoma fell to 2-5. East Central also defeated Coahoma on Nov. 2 at home 79-69. In the men’s action that followed, East Central could not hold on to a four-point halftime lead and fell 65-58 to the EMCC Lions. East Central Community College will hold an Open House for students interested in enrolling in its MI-BEST program beginning at 1 p.m. on Friday, Dec. 1. The event will be held in the Tucker Applied Technology Center on the Decatur campus. Refreshments will be served and all participants will receive a MI-BEST T-shirt. 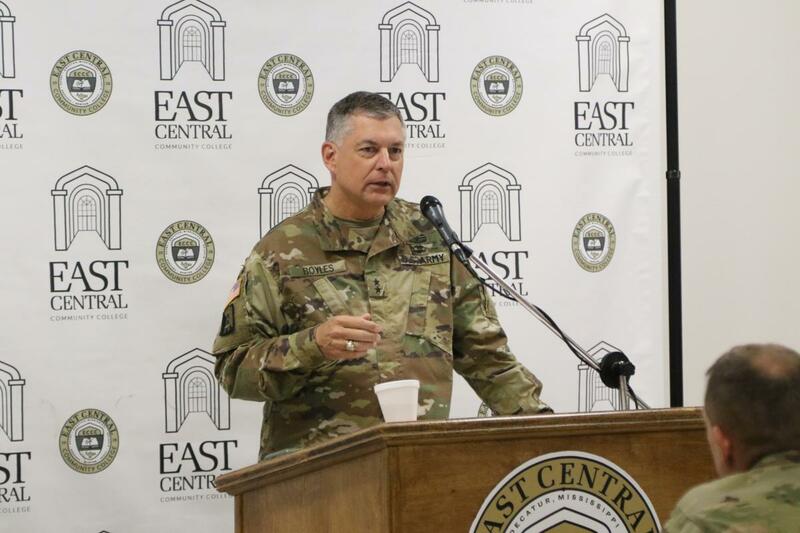 More than 125 local veterans attended East Central Community College’s annual Military Appreciation Breakfast this morning on the campus in Decatur.